Did you find us on Google? to those within Tarrant County. and for the special offer of $20 a service call, you can have an HVAC specialist arrive at your home today, not next week!…most issues can be repaired in under 30 mins. 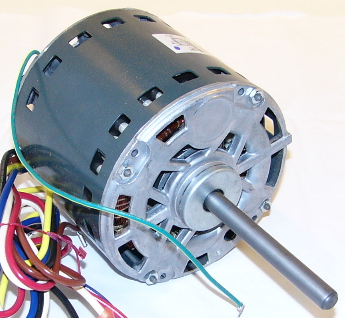 Blower motors are another reason your not getting any air distributed to your home. This motor does not often go bad, a trained HVAC professional can diagnose a motor and possibly get to work without replacement. This is not always the case however and in some cases these motors can be on fire in the attic without anyone knowing about it! There are signs before reaching this extreme but it is not something that can be detected without the proper tools. Common components are often the culprit of keeping your heater from functioning properly, a trained HVAC professional knows how to recognize the signs of a bad flame sensor or other commonly troublesome heating components. We service hundreds of homes each year and our techs are highly familiar with internal components preventing you from staying warm this season. There are more than few cold days ahead of us don’t wait for a total breakdown to call us. Even better, Royal Air AC offer a preventative maintenance package to keep your HVAC system functioning properly all year. We cover the diagnosis of heating and A/C. Call us to find out more about this package offer 817-717-5353.